It was a pleasure to host my running coach Dr. Bill Pierce, who motivated and guided me to BQ in 2012-13, during his visit to Bangalore on 26th August. 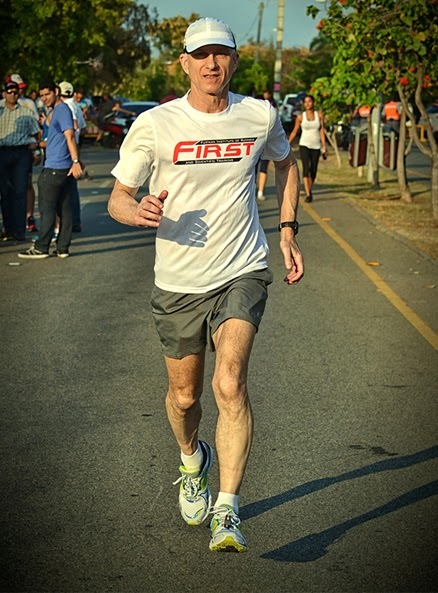 Bill was brought on his maiden trip to India by Hyderabad Runners as the event ambassador for Airtel Hyderabad marathon on 24rth August 2014. Bill is professor and chair of the Health Sciences Department, at Furman University, in Greenville, South Carolina, USA. He is co-founder of the Furman Institute of Running and Scientific Training (FIRST). FIRST promotes running as a healthy physical activity by providing training based on scientific principles and research. Bill, now 64 years of age, ran his first marathon in 1977 and to date, he has completed 40 marathons. He also has the distinction of having run the Boston Marathon in five different decades – 1970s, 1980s, 1990s, 2000s and 2010s – the last time being when he was in his sixties. With over 250 road races under his belt, 1st place finisher in 10 road races of distances from 3k to HM between 1978 and 1991 and Top 3 age group finishes in 114 races, Bill’s running history is very impressive. Bill is co-author of the best selling book “Run Less, Run Faster”, which completely revolutionized marathon training. Backed by scientific research and experiences of real runners, the book describes how to achieve faster speed by limiting to just three running workouts a week. 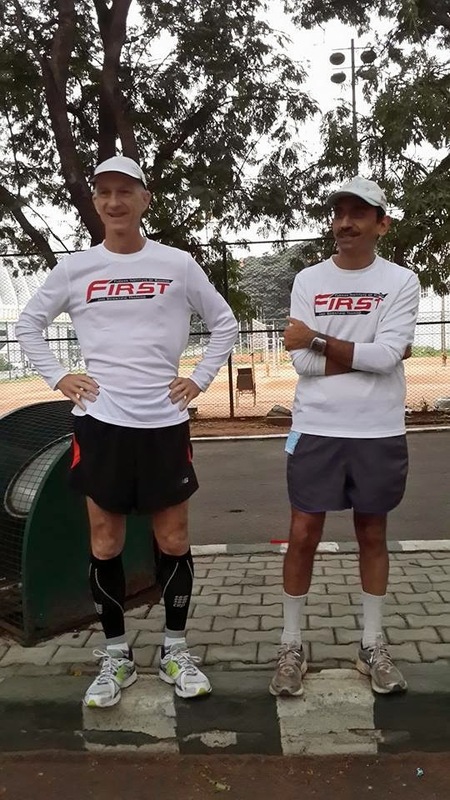 Bill did well in his first race in India completing the HM in the challenging Hyderabad course under tough weather conditions in 1:50:46 and finishing 4rth in the senior mens veteran category. This despite sight seeing in Delh and Agra and also addressing several meetings in Hyderabad prior to race day. Over 40 runners ( a lot of them were pacemakers trainees) assembled at Kanteerva stadium on 26th morning by 615am and had a nice easy 10Km run in Cubbon Park. Followed by some yummy food from fellow runner Aseema and breakfast at 1st floor of Konark restaurant in the stadium. 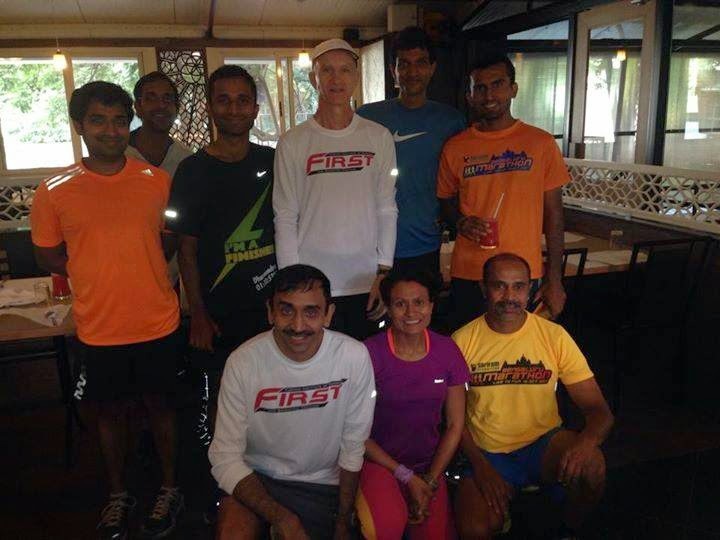 About 20 runners were around for breakfast and interacted with Bill. On 26th evening Bill gave a talk titled 'Smart training for the long run' at the auditorium at the Puma store on CMH Road, Indiranagar. There were over 75 participants many of whom got their copy of Bill's book autographed. 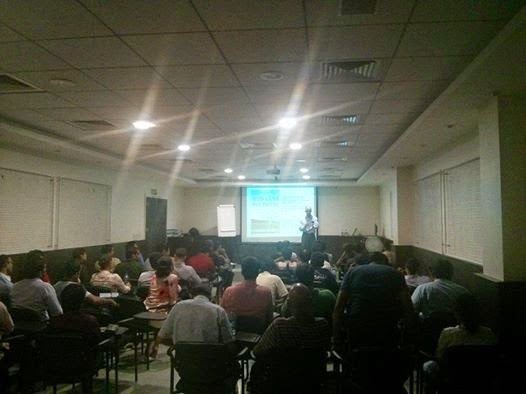 The talk was well received and Bill left for Chennai very satisfied with the interactions with the Bangalore runners.